This video is a compilation of short pieces taken (with permission ) from the channels of four Indian Railway videographers. I find the Indian Railways fascinating to watch and enjoy the videos coming out of the country. It was that which prompted me to put this piece together for others to enjoy and perhaps share the amazing scenes that one sees there. There’s not too many places in the railway world that you can still hear the steady chug of an ALCO , a modern EMD or the whine of a big electric all in the same place. India has got the lot. The work is compiled in no particular order of merit or favourites but simply as it was taken down from Youtube. It has been “bordered” because it was a mix of standard definition at 480p and high definition at 720p. It was edited to fit together neatly and to retain as much quality as possible for rendering at HD 720p. Some small amounts of tweaking were done to enhance contrast and exposure but it is basically as shot. Considerable tweaking was done to provide stereo sound effects. The work comes from the following Youtube channels :- www.youtube.com www.youtube.com www.youtube.com www.youtube.com I thank the guys for letting me use their work to put this together. 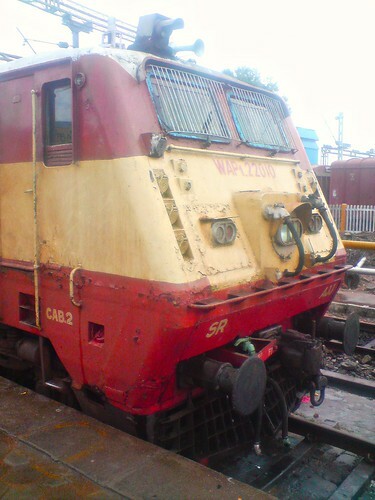 What is the power rating of Diesel engines (WDM2 & 1) and electric engines of trains of Indian Railways? Question by San EKM: What is the power rating of Diesel engines (WDM2 & 1) and electric engines of trains of Indian Railways? Do diesel engines employ 2 stroke engines? With forced induction? Pl give details. In the Table of Contents, go to Locomotives, then Notes on selected classes. You’ll find data and photos there. If you can find copies of Jane’s World Railways (major libraries may have these), that come out annualy since the late 1940s, you’ll find technical details there for locomotives around the world.